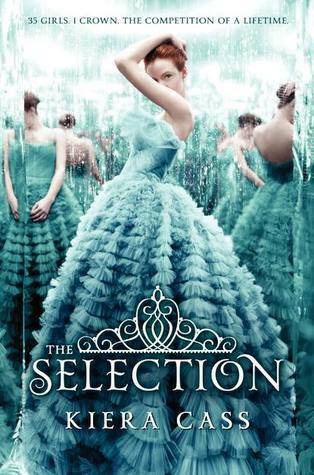 Summary from Goodreads: For thirty-five girls, the Selection is the chance of a lifetime. The opportunity to escape the life laid out for them since birth. To be swept up in a world of glittering gowns and priceless jewels. To live in a palace and compete for the heart of gorgeous Prince Maxon. So, I'm a little late to the game on this one, but I finally got around to reading The Selection. (I'll be reading The Elite soon.) The book is an upper crust take on The Bachelor, where the prince chooses his future queen via a reality-TV-style competition. America Singer wants nothing to do with the Selection (she is already in love), but she is pressured on all sides to submit her name and, sure enough, is selected. What she thinks is going to be a miserable experience actually turns out to be quite eye-opening and America finds that she may be falling for the prince after all. The story was fun and intriguing - the perfect summer read! The setting. I was a bit confused by the setting of this book. It seemed to be set in a modern (or slightly futuristic) time period, but then there were parts of the book that felt like they took place in a more medieval time period. For instance, the fact that all of the women in the castle wear fancy dresses at all times. I just couldn't quite grasp the world that America lived in and I wanted to understand a little bit more. America's choice to lie. Up until the end of the book, America is pretty honest and up-front with Prince Maxon, but at the end she starts lying to him. I was bothered by this. An explanation was given for it, but I didn't really buy her explanation. Of course, in real life we sometimes come up with excuses for the choices we make when really it just makes it more convenient for us, so I guess this is realistic. Still, I wished that she hadn't started hiding things from Maxon - you know it's just going to end up causing her (and him) pain in the next book! The caste system. I thought that the caste system in the book was really interesting and added dimension to the story. It made the stakes that much higher for America because of her family's struggles and the possible rewards that would come with being a part of the Selection. I wished that there had been even more details given on the castes. "The Bachelor"-esque storyline. I've never really been a big fan of The Bachelor, but I have seen a few episodes, and The Selection seems to do a great job capturing what it would be like to be on this sort of reality TV show. I love that there are sweet girls that America sees as possible friends and snarky girls who just want to get their hands on the crown. I definitely enjoyed The Selection and am looking forward to reading The Elite. I wished that there had been a little more world building and explanation of the castes, but it was a very enjoyable read. 4/5 Stars. Nice review. This sounds interesting. I need to check it out sometime. I like authors that are talented enough to make you like both guys. Usually I stick to one -- but occasionally I can feel the MC's pain. Yes, this book was interesting because it really made you love Aspen at first, but then you couldn't help but fall for Maxon once he was in the picture. I don't think I'll be switching teams back to Aspen, but I'm afraid that the next book is going to try to sway us that way (I don't know why - just a feeling). This is one of those books that I keep coming across on weekly memes or blogs so I hope to read it soon. 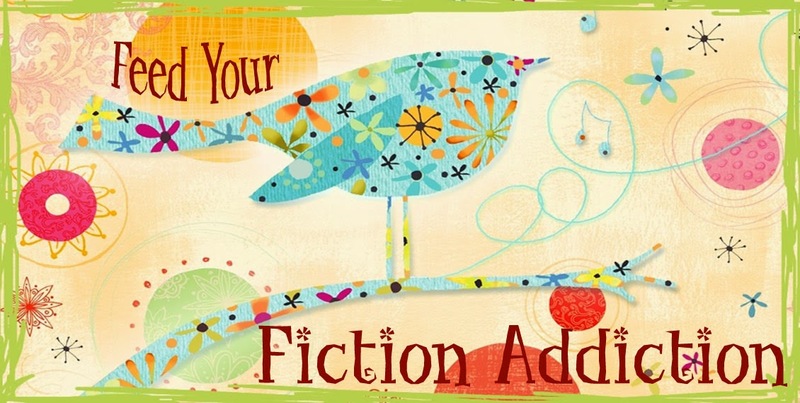 Great review & I know what you mean about the setting- I think authors really need to clarify that for readers so they can imagine it just as it should be. Yes, the setting was my one real issue with the book. It just wasn't clear enough in my opinion. But, I loved the rest of the book! Nice review! This is one of those books I keep seeing but never getting around to reading...I must add it to my tbr pile soon. That's how I was for a long time - I saw the book everywhere, but never got around to reading it! I really liked this book. I was a bit late on the band wagon too. I actually like the setting. It is futuristic but I think they decided in the future to go back to an older style. I didn't like the lying either. I can't wait to see what happens in The Elite. I actually did like the setting, I just wish Cass would have given us some more detail to set it up more and so that I could truly see the world she was creating. I just thought it was all a little too vague. I still obviously enjoyed the book, though!